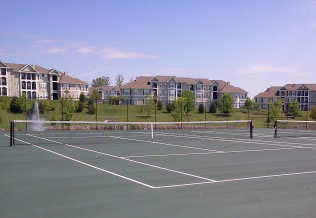 The use of the tennis courts is restricted to residents only. A code is required for the tennis courts. For access to these facilities, you must be a registered resident. Fill out the form: Tennis Code Registration, then request the code and contact PMP. We would like to remind everyone that the tennis courts are NOT to be used for anything but playing tennis! Bicycles, skateboards, scooters, roller skates, and/or dogs are prohibited on the tennis courts. The tennis courts are kept locked at all times. Please be mindful to make sure the gates are firmly shut AND locked after each use.